What are you doing to me? WHAT ARE YOU DOING TO ME?! AHHHHH! Thanks for linking at Trim Healthy Tuesday – I think. Ha! Sorry….I think! 😉 Thanks for hosting Stacy! Thank you Amy! I confess that I ate this 3 breakfasts in a row. 🙂 Glad it’s plan approved. I have a question, the recipe says to use half the cookie dough in the pie crust but I never saw what you are supposed to do with the rest of it. Am I just missing something? Hi Gail, you can freeze the other half and make into cookies or another pie later, or you can make cookies with the remaining half not used immediately. 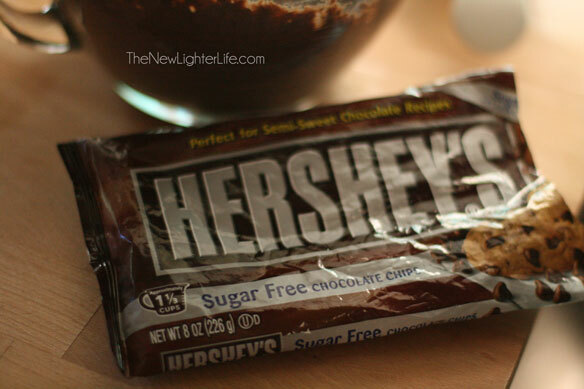 Where do you get sugar free chocolate chips????!!!! That would make my life a bit easier! Are the St chocolate chips plan approved? I sure hope so…………I can’t wait to try this recipe! So there was some discussion on the THM Facebook group when I first posted this recipe. The conclusion was that there weren’t enough chocolate chips in it to matter. 🙂 So eat away! This makes me so happy to hear Elizabeth! I agree with you, it doesn’t taste low carb and I’m so happy with the results of my tinkering, (which are at times major disasters). Thank you for your nice comments! To date, my favorite stevia extract is KAL. It is so good and worth a try in my opinion. I’ve tried NOW, the original NuNaturals, Trader Joe’s as well. KAL is the best so if you can, you may want to try that brand to make your own Truvia. Thanks for this yummy looking recipe! Planning on making it for thanksgiving. Just wondering what you use to sweeten the whipped cream? I’m so sorry Catherine, I just got to comments on the blog because our life is unbelievably hectic right now! I sweetened mine with powdered xylitol. Did you try it for Thanksgiving? How do you whip and sweeten the whipping cream? Hi Tosha, You just need to add a little bit of powdered xylitol, stevia, or truvia to your cream. To whip it you can either use a mixer or an immersion blender. Only use whipping cream and beat the cream until it is fluffy. Don’t go too long or you’ll end up with butter. 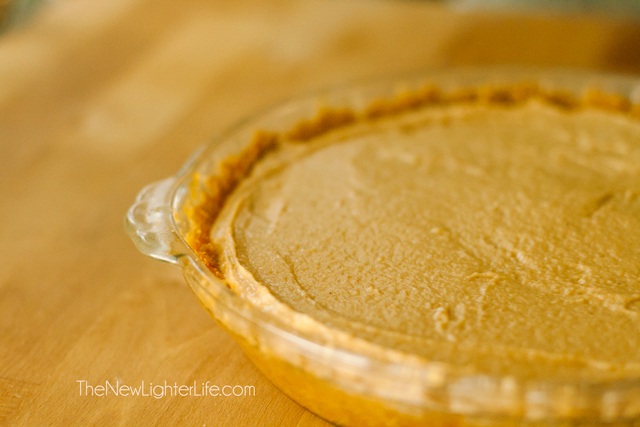 Hi, What is the carb count on this PB pie recipe? Not sure Chris, you could input the ingredients into My Fitness Pal. I do know it’s very low carb though. Can splenda be used for the sweetener? If that is a sweetener you prefer Addie, yes you may. I have made two of these ! This is my favorite go to dessert !! Yay! So glad you like it Rachel! I made this pie yesterday and I was absolutely amazed at how delicious it was! 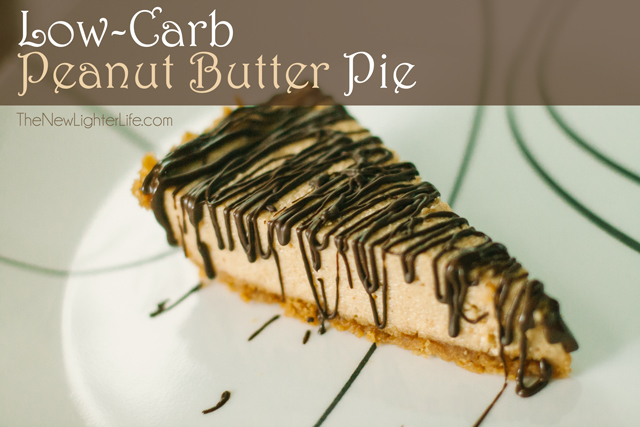 I’ve made peanut butter pie before I started eating low carb but even those weren’t as good as this one. I used erythritol for sweetener. I add 1 tsp all natural Sweetleaf Stevia for every one cup erythritol to cut down on the cooling effect of erythritol. I also made my own sugar free chocolate chips to cut down on carbs. My recipe yielded 486 calories and 8 grams net carbs per serving (8 slices). I’m going to use this recipe as a holiday dessert I can eat without feeling guilty. So glad you liked the pie! 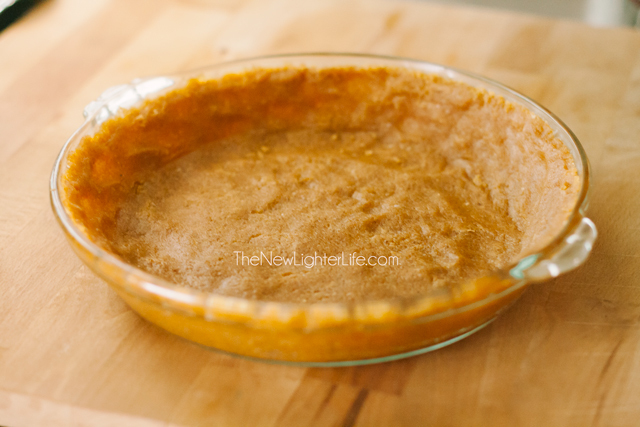 I love this pie too…I like your option of cutting back on the erythritol!